I met Todd Williams at a jiu-jitsu training camp hosted by a number of the Gracie’s. There were a good number of high-level black belts in attendance (who says black belts stop learning once they reach the black belt level?) There were black belts all over the place. The more I listened to Todd and asked questions, the more amazed I became. Todd Williams is a two-time Olympian 10,000 meter distance runner and was in the 1992 Olympic Games in Barcelona, Spain and the 1996 Olympic Games in Atlanta, GA (my current hometown). He attended the University of Tennessee in Knoxville and was an All-American runner for three years. He began his jiu-jitsu career training under Helio “Soneca” Moreira, a jiu-jitsu legend under Carlos Gracie Junior. Williams would continue his training and eventually earn his black belt under Luiz Palhares. His athletic resume and accolades are incredibly impressive (and daunting to mere mortals). Williams would eventually move back to his hometown of Monroe, Michigan where he opened up his own jiu-jitsu academy Monroe Jiu-Jitsu. Williams combined his love of running with his love of martial arts and created a program called, “RunSafer” where he teaches self-defense programs to runners so that they are better prepared to both avoid dangerous assaults while training and defend themselves more effectively if they were assaulted. What became clear after getting to know Todd Williams is how fanatical he was with tracking and benchmarking his progress during his pursuits in life. This is a key principle of success in any endeavor and one stringently followed by Williams. He would lay out his goals, break those goals down into action items, monitor his processes and behaviors, and then he would hold himself accountable to specific workouts or training sessions that would elevate his skills. Todd has logged more than 8,000 hours on the jiu-jitsu mats and has run over 60,000 miles with log books and notes that helped him dial in what worked, what didn’t, what needed improvement, and where he should spend more time to accomplish his goals. He never wanted to fool himself. The details were in the notes. Tracking and benchmarking is a scientifically proven success principle that is used by top people in many endeavors whether that is in business, the arts, sciences, or athletics. 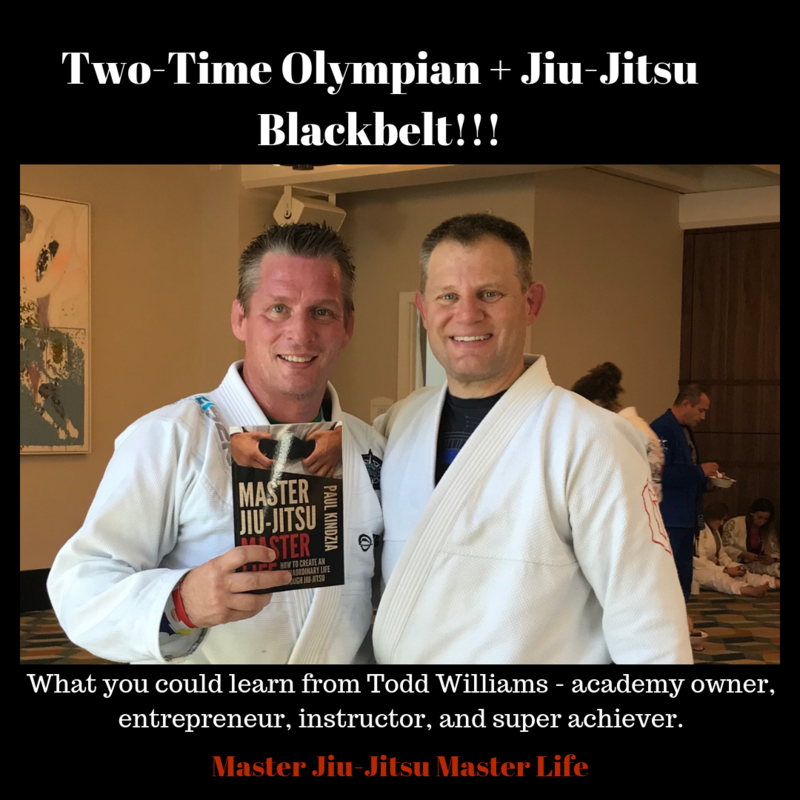 Todd Williams learned early in life how to master proven principles of success in life which allowed him to then master jiu-jitsu but more importantly master facets of his life. It was such a pleasure getting to know Todd Williams and rolling with him on the mats (he kept things fun, playful, and technical for me!) I was so grateful for the opportunity to meet Todd, learn from him, and share the mats with him. I am a better man because of it.